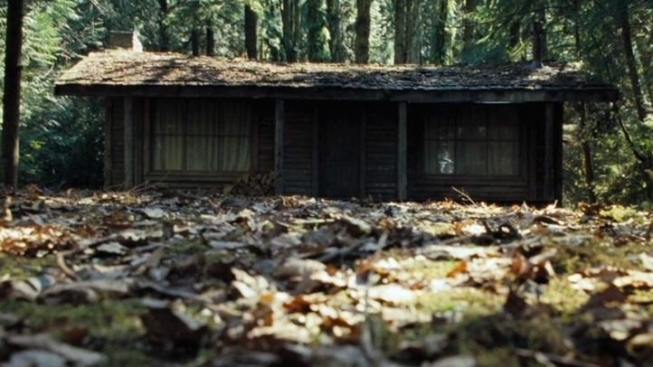 Back in 2009, Joss Whedon wrote (and "Cloverfield" writer Drew Goddard directed) an homage to classic horror films called "Cabin in the Woods." Two years later, and all we got was a poster. In the meantime, of course, star Chris Hemsworth went from "Who?" to "Thor! ", and Whedon was handed the keys to the biggest superhero crossover movie to date, "The Avengers." Thanks to that, the studio has decided to not give "Cabin" the "Trick 'R Treat"-ment (short version: Inexplicably dumping a really good horror effort on home video). First we got a release date (April 13, 2012) and now, the first official trailer. And it is a head-scratcher. Did you think this was a deliberately old-school "campers get slaughtered" pic? Think again. And then get back to us with your theories about what exactly is going on. Once again, "Cabin" arrives next April, followed almost immediately (and conveniently) by that little superhero thing that Whedon and Hemsworth are futzing around with.